If you have finally made the decision to learn how to play the guitar, this is a fantastic time to do so. Learning is even easier now with all these countless number of platforms and tools that you can utilize from a simple online search. Learning how to play guitar online is not only possible, but it keeps getting easier as well. There are a virtually limitless amount of options available to help you realize your guitar playing aspirations. Years ago, if you wanted to learn to play guitar, you would either have to teach yourself with the aid of a tutorial or lesson book or seek out the expertise of an instructor in person through scheduling an appointment. 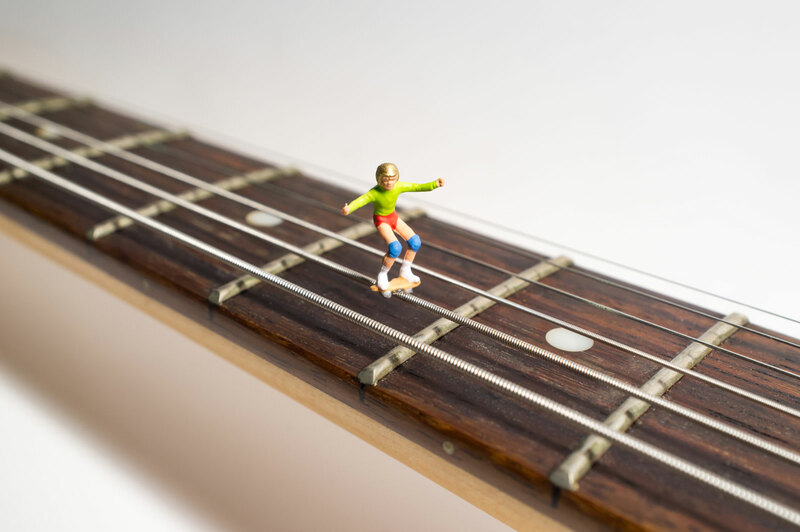 Since learning how to play the guitar takes a significant amount of time and dedication, you would have to make sure you kept up with your guitar lessons regularly by designated time out of each week to meet up with your instructor. 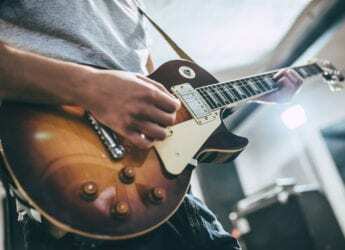 Now, there are a tremendous amount of online guitar lessons that can be used to help you along your journey to becoming a rockstar, or at least a serviceable guitar player. Which ones should you try out? If you are looking for free online guitar lessons, one of the best resources available is ShredAcademy. This amazing source is not only attached to a website but also has a strong presence on the video sharing platform, YouTube. Found throughout the ShredAcademy YouTube are a plethora of useful videos ranging from the best practice methods and tips for beginners. This site is basically a set of online guitar courses for beginners. The collection of online instructors that are with the ShredAcademy are not just your average hobbyists, but a board consisting of dozens of professional guitarists and guitar instructors that provide expert lessons to help you learn play the guitar for free. To get the full effect of the ShredAcademy, you are encouraged to supplement the full site with the learning resources made available on their YouTube channel. Teaching guitar is no easy feat and doing so without one on one in person contact is even more difficult to achieve successfully. However, the instructors made available through the ShredAcademy are more than up for the task as each video provides so much useful information through a natural and logical progression. While you will no doubt learn a great deal of information from the aforementioned ShredAcademy, sometimes a more intimate online connection between you and the instructor is necessary to make significant progress. The increase in personalization and in-depth online guitar lessons has with a price tag, which is still a great deal when you realize just how much you will get for $19.95 per month. GuitarTricks.com is an excellent site for paid online guitar classes, and is well worth every penny. 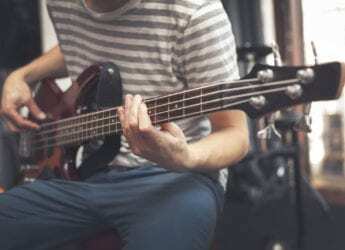 The site has been the recipient of countless awards and is able to boast the impressive fact that it has successfully taught over 3 million users how to play guitar. To separate themselves from the countless other paid online guitar learning resources out there, Guitar Tricks implements a Core Learning System for beginners that does away with tedious and somewhat boring practices for those just starting to learn. Instead of performing tasks at the beginning that have little to do with actually playing music, Guitar Tricks has you learning real music on the very first day so that you can see right away how everything that you learn has immediate and obvious places in creating music. 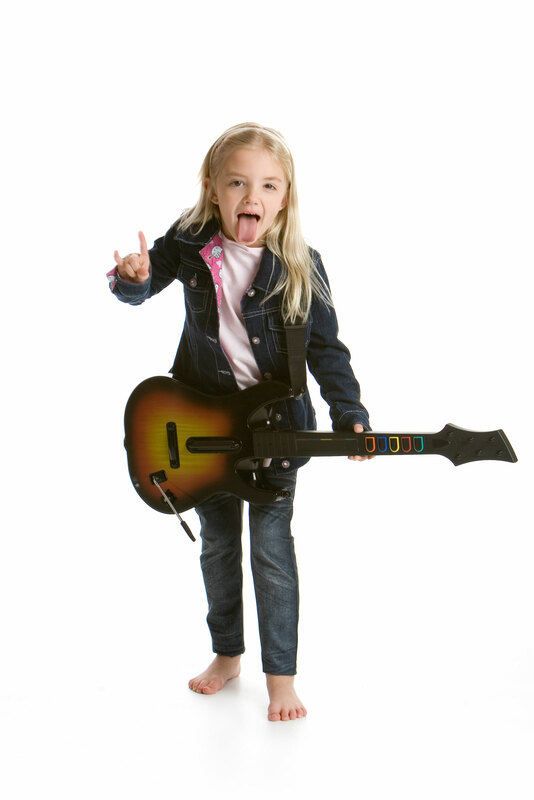 All of Guitar Tricks’ lessons are interconnected and follow a natural progression that makes learning in a step-by-step manner not only effortless but intuitively fun for everyone. Guitar Tricks also offers private one on one sessions that can be booked between you and your chosen instructor. 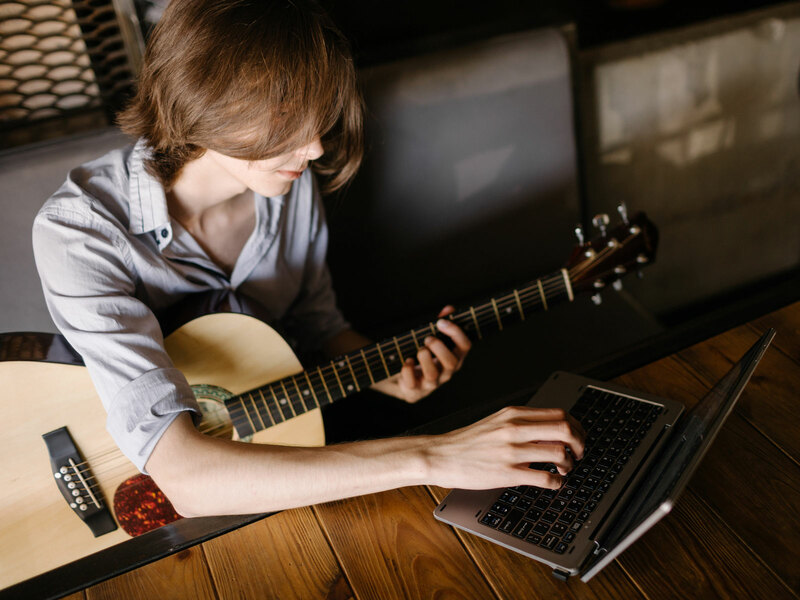 If you are one that benefits more from learning in a classroom type atmosphere, it is also possible to take part in live online guitar sessions with you, your guitar instructor, and other beginning guitar players—that can all learn through playing and exchanging ideas and tips on how to improve. Next up we have Rocksmith, which is one of the best physical guitar learning software options available today. You will have no problem whatsoever having fun with this resource because it is, in fact, a video game offered to PlayStation 4 users for the low price of $39.99 on Amazon.com. The built-in algorithms attached to Rocksmith will track your progress in real time and will adjust each lesson according to your current progression throughout the teaching regimen. Once you have made your purchase, you start by simply connecting your real guitar to the interface through a 1/4-inch output jack sold separately. After you are all connected, the software will begin tracking each strum of your guitar in real time. You can think of Rocksmith as a much more in-depth Guitar Hero that will actually teach you how to play the guitar instead of how to mash buttons. If at any point, you start to fall behind on your progress, the system will begin sensing that you are having a difficult time, and will adjust the difficulty accordingly, and will zone in on factors and techniques that it senses you are having trouble with. This instant feedback will be made apparent to you at all times as well, so that you can hear for yourself exactly where in a song or lesson you are not completing up to par. If you are a video game aficionado, then Rocksmith 2014 Remastered, may be the best choice for you. There are a seemingly endless amount of resources that you may come across if you choose to learn how to play the guitar online. If you are looking to learn the guitar on YouTube, ShredAcademy may be your best bet. Through a huge database of lessons created from dozens of in-house guitar instructors, ShredAcademy provides plenty of videos to help you learn to play guitar online. 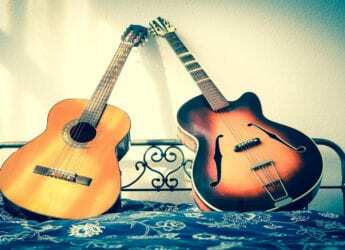 If you need a more intimate learning environment, then GuitarTricks.com may be right for you. This paid online guitar learning resource provides one on one video lessons with you and an instructor. Finally, if you are a fan of playing video games, you may want to head over to Amazon.com and pick up a copy of the PlayStation 4 game, Rocksmith 2014 Remastered. This guitar learning software is extremely helpful and interactive. Regardless of which of these avenues you choose to help you learn how to play the guitar, you really cannot go wrong. It is all a matter of personal preference. 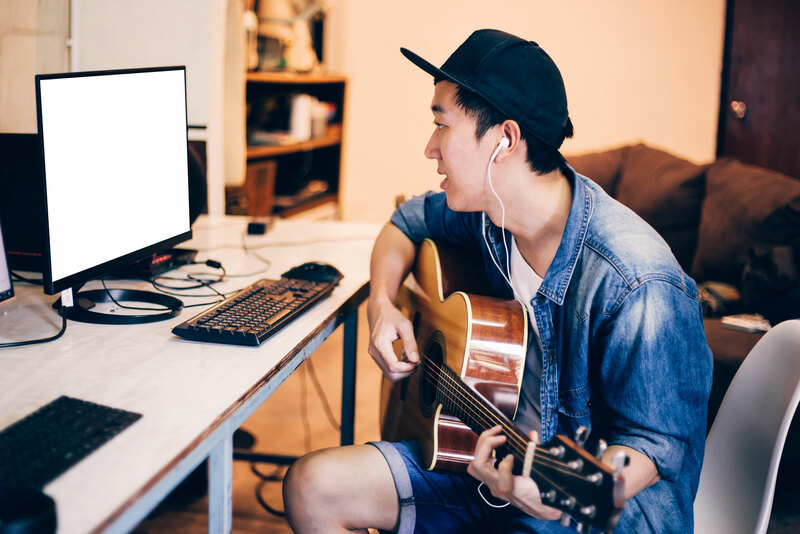 With the advancements in technology, learning to play the guitar online is not only an option but a truly great way to learn the guitar. Do you know other sites where you can best learn to play the guitar online? Feel free to share it with us in the comments below!